On Wed., Aug. 16th, the Sean Scheidle party boarded the Milky Way to try fishing on Lake Ontario. Since the Lake was not on her best behavior, the half day of fishing was quite challenging and unfortunately one of the fishermen got pretty sick. In spite of this, they guys stuck it out and 1 beauty King was caught, 5 Lake Trout (2 of which were really big lunker Lakers) plus one small Brown Trout. Although the seas were rough, this crew seemed pretty happy with their experience and we have to say they were true fishermen! 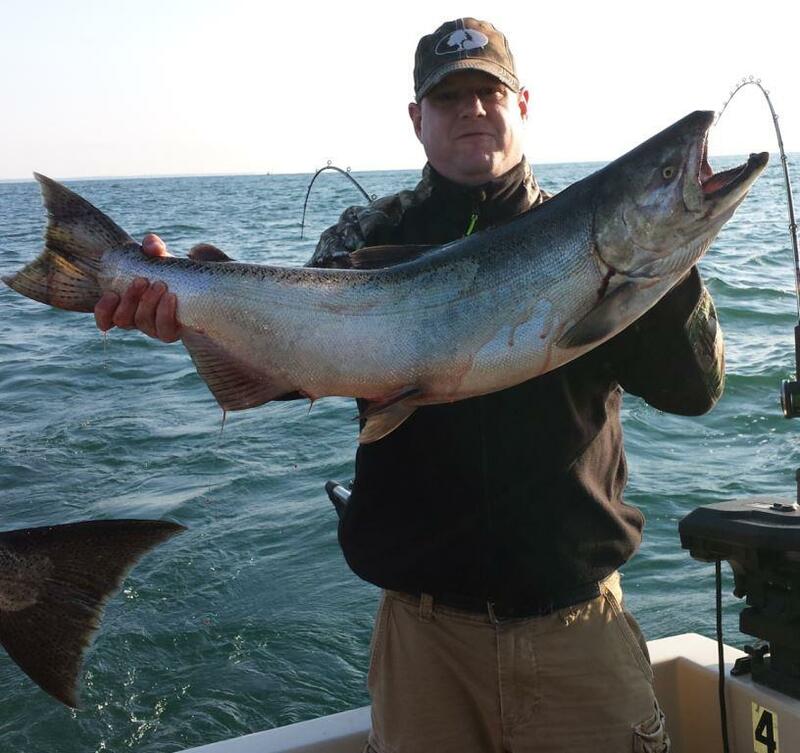 Maine Crew Tackles Lake Ontario with Success! Hailing all the way from Maine, Rick Hopkins chartered the Milky Way for 2 days of fishing. Fishermen Endure Lake Ontario to Catch Lakers & A Brown Trout! Bill Thomas and party had chartered the Milky Way for Aug. 4th and 5th to have a day of trolling and a day of bass fishing.